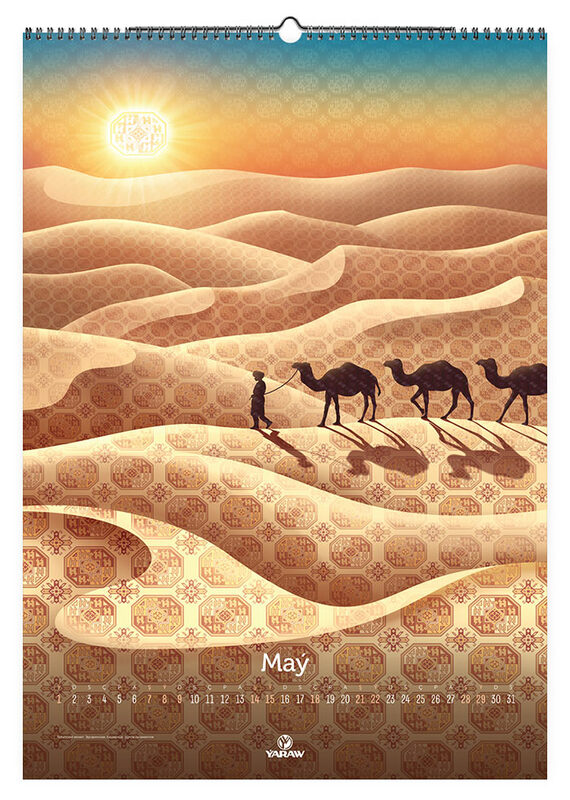 Task: to create a calendar that people would want to keep for more than a year. 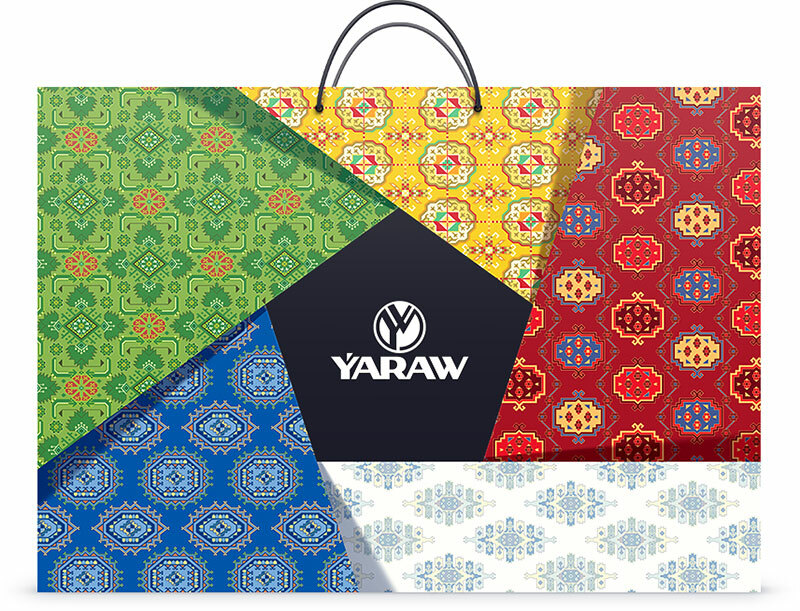 Based in Turkmenistan, Yaraw sells and services freight, passenger and special vehicles. 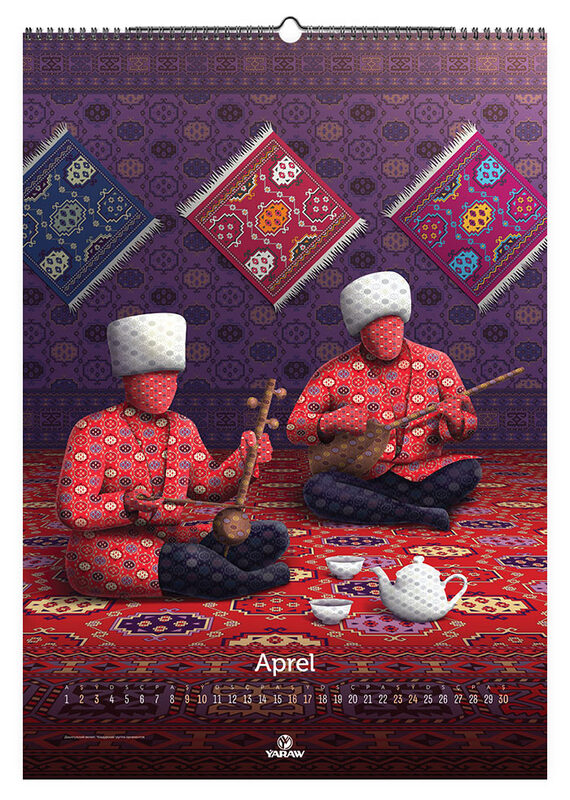 Respecting the traditions of their home country, the company gives Turkmen souvenirs to their clients every year. 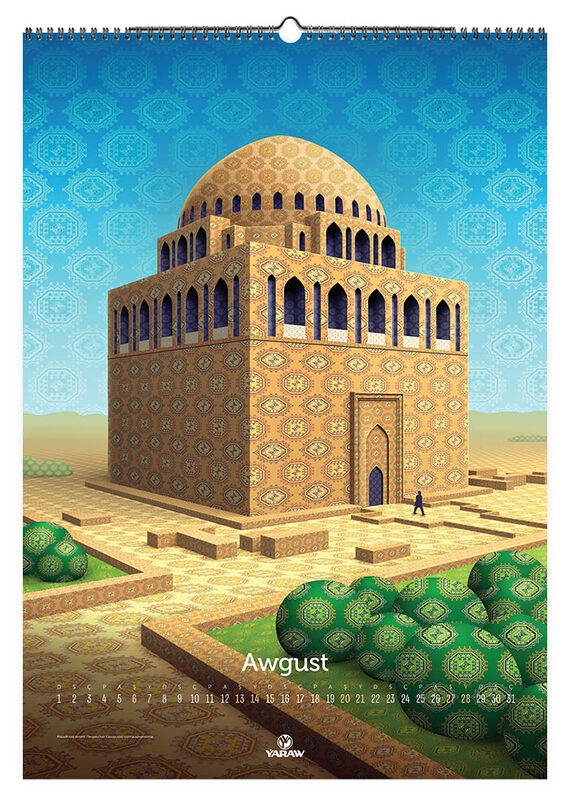 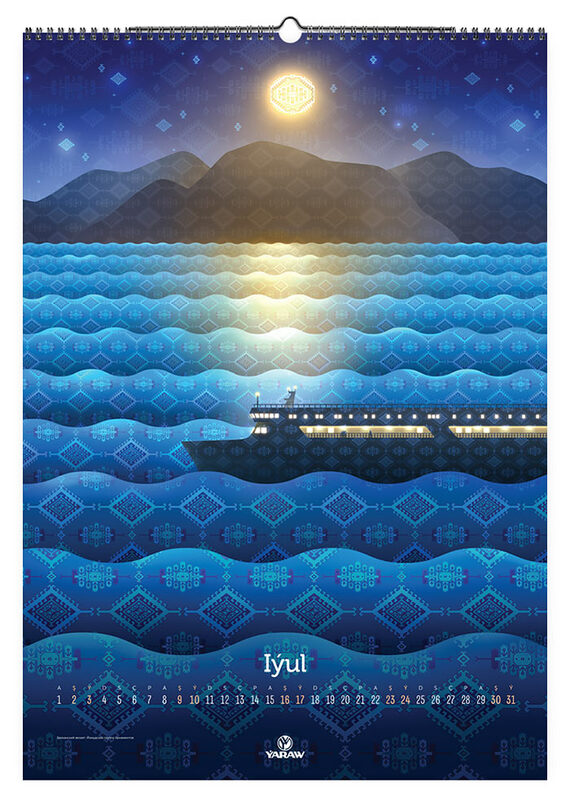 A calendar and a gift bag featuring national Turkmen patterns, goels, were created for the company at the studio. 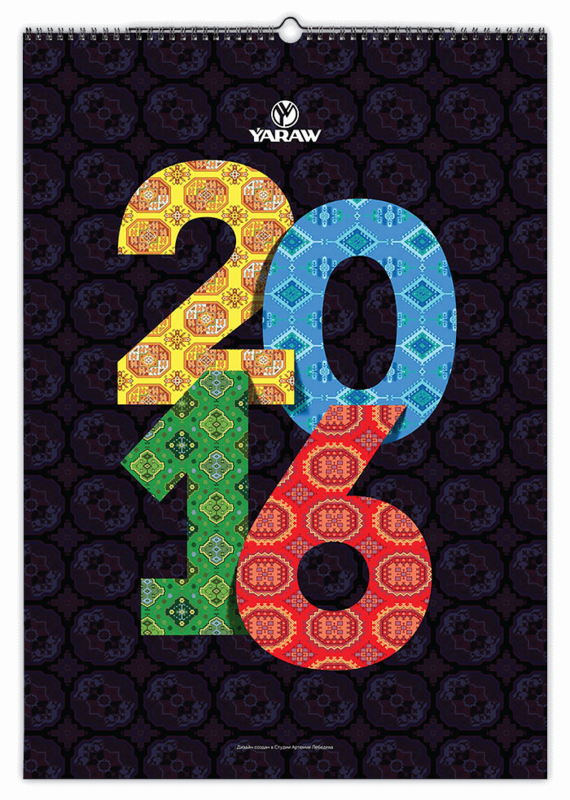 Each group of ornaments is related to one of the country’s provinces, Welayats. 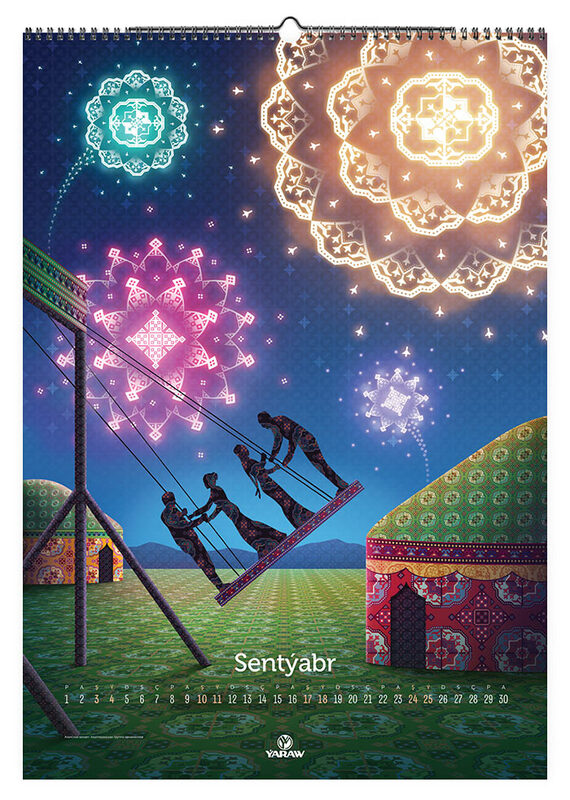 The repeating elements come together into patterns reminiscent of Turkment rugs, while the “woven” stories present unique features of each Welayat.